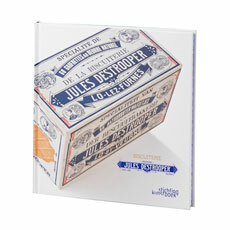 A beautiful golden round tin holds a very special treat: delicious Jules Destrooper biscuits. The elegant keepsake tin gift box is decorated with classic Destrooper symbols. 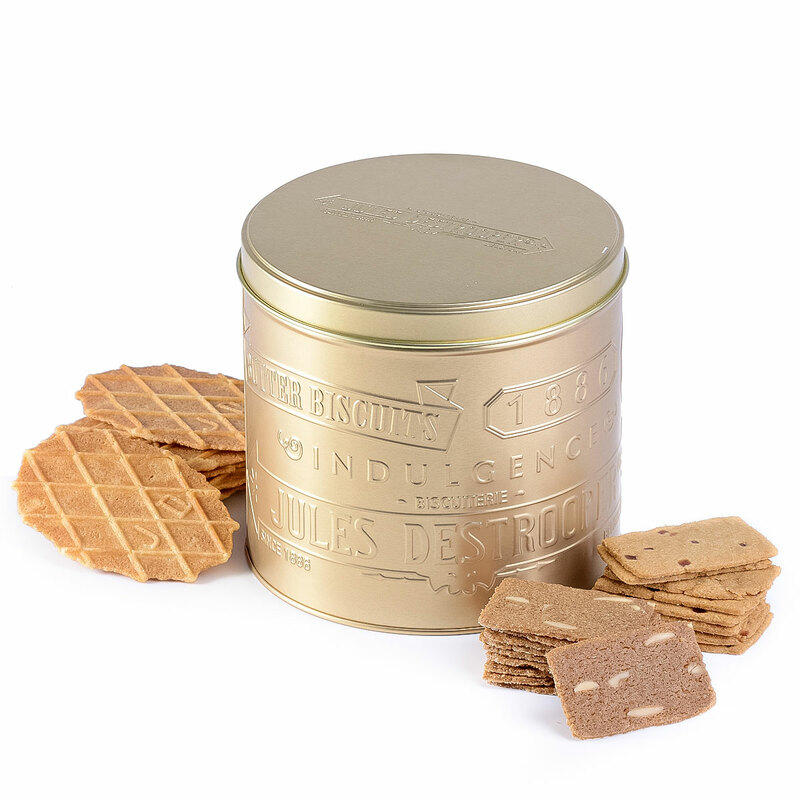 The tin is filled with authentic Belgian biscuits in three tempting flavors: Butter Waffles, Apple Thins, and Almond Thins. A welcome gift idea for the holidays or any other occasion - you will want to keep several on hand for a quick gift that anyone will love. Ingredients: Wheat flour, sugar, butter (16%) (milk), candy powder, free-range eggs, almonds (3%), apple pieces (1.5%) (concentrated apple puree, fructose glucose syrup, glucose syrup, sugar, wheat fibre, gelling agent: pectin; acidity regulator: citric acid; vegetable sunflower oil, natural flavouring), candy syrup, potato starch, rasing agent: ammonium bicarbonate, sodium carbonate, sodium bicarbonate, sea salt, natural strawberry flavouring, cinnamon. Allergy Advice: May contain traces of soy, hazelnuts and cashew nuts. Nutrition Declaration per 100 g: Energy 1956 kJ / 465 kcal – total fat 16 g – saturates 9,5 g – carbohydrate 73 g – sugars 39 g – protein 6,1 g – salt 0,70 g.